CHICAGO – With the Emmy Awards very nearly upon us (Sunday, September 18th, 2011), it seems the right time to take one last look at the Academy’s 2011 nominees before they turn into winners and runner-ups. Who will win? Who should win? And who should have been invited to the party? There are more than a few interesting races this year, most notably in the major drama categories. “Breaking Bad” didn’t have an eligible season this year, “Lost” is gone, and two new HBO shows hope to strike gold in their rookie seasons. It’s created some intriguing match-ups. 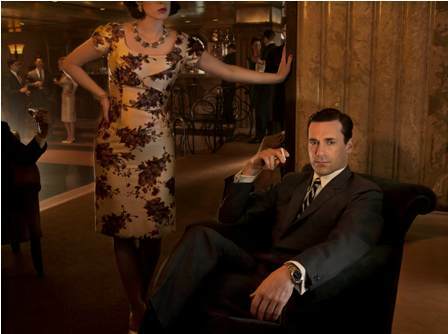 Will the Emmys continue or even enhance their love for “Mad Men” or look elsewhere? Will anyone repeat from last year? Will anyone surprise? Here are our well-informed predictions for an awards show that almost always defies well-informed predictions more than a few times. Consider these our best guesses. Once again, we have to go with the familiar with last year’s victor in the heated “Modern Family vs. Glee” battle. And it doesn’t hurt that “Modern Family” delivered a second season arguably as strong as the first while “Glee” has taken a notable dip in quality. “30 Rock” and “The Big Bang Theory” simply didn’t have strong enough seasons to be considered (and both should feel bad they were nominated over superior comeies like “Community”). That would leave the NBC sitcoms “The Office” and “Parks and Recreation” as the only possible competition for ABC’s biggest critical darling. The former had a rollercoaster season and feels like an unlikely choice while the lack of supporting nods for the latter hints at a lack of overall support. I know that the Emmys often throw curveballs but I would be stunned if “Modern Family” didn’t take this prize. It might be the biggest lock of the night (outside of Kate Winslet for “Mildred Pierce”). Do you think Michael C. Hall and Jon Hamm called each other with congratulations when they found out that Bryan Cranston wouldn’t have an eligible season for this year’s awards? It’s like when baseball teams find out that the Yankees won’t be in the Playoffs. It just gives them a bit more hope for the big win. Cranston won the Emmy for Best Actor the last three years and so his absence leaves us with a lack of history with which to predict a winner here. 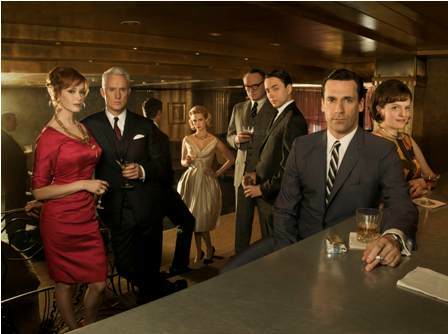 The overall support and the prediction of a win for “Mad Men” points strongly at a deserving win for Jon Hamm. Just like Drama, the strongest competition for a “Mad Men” win would be Buscemi’s work in “Boardwalk Empire,” but the reports are that Hamm submitted a stronger episode. It would be stunning to see any of the other four nominees win and I might even go a step further and say whoever wins here — Buscemi vs. Hamm — will tell us the winner for Best Drama later in the broadcast. Both categories couldn’t be closer. Once again, this category disappoints overall with several nominees who I can’t imagine winning (although, like most people, I never imagined that Kyra Sedgwick would win last year…and then, in great evidence of the Academy’s inconsistency, not even get nominated the next year) — Kathy Bates, Mariska Hargitay, even Elisabeth Moss, who I believe many voters will agree should have been in Supporting (if SHE wins, Hamm & Drama will do so as well in a pure series sweep). That leaves the great Connie Britton, who could be the most lovely surprise of the night, Mireille Enos, who will be hurt by the controversial season finale for her series, and the woman I expected to win last year and so will predict again — Juliana Margulies. 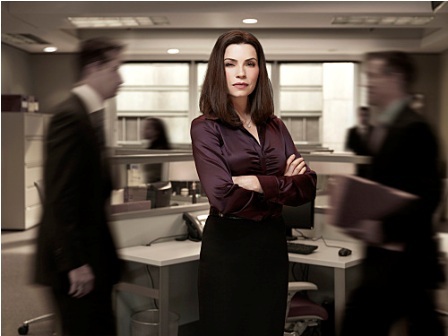 There’s clearly a lot of love for “The Good Wife” and this talented actress carries the show. I thought she was a lock last year and those wacky Emmy voters proved me wrong, so I guess I can’t call her a lock this year. But she’s certainly close to one. Steve Carell has never won for the well-liked-by-the-Academy show that has arguably been one of the biggest influences on TV comedy in the last decade. I’ll be truly shocked if they don’t take the last chance to give him a trophy, especially after the strength of his final episode. It’s certainly his to lose. Who could upset? Jim Parsons seems to be the strongest possibility here given his win last year, although I certainly feel that this past season wasn’t his best and can’t believe I’m alone. There are very few TV actors with the current buzz of Louis C.K. and while the vote is technically for season one, you can’t restrain voters from taking into consideration the stellar, just-concluded second season of “Louie.” The first installment of that FX hit was good but the second was amazing and if Louis C.K. pulls off the most glorious upset of the evening, it will be more for what just aired than for what did so over a year ago. One final note — if Johnny Galecki wins, we should all boycott the rest of the show and its sponsors. He’s not bad on “TBBT” but he’s number six here for sure and beat out several more-deserving candidates, most notably Mr. McHale of timeslot-competition “Community.” Yes, I’m bitter. If it ain’t broke, don’t fix it. The Academy has given this prize to a Showtime actress two years running now, awarding Toni Collette and Edie Falco, back-to-back. Falco could take it again — I really wouldn’t be surprised at all — but I suspect that the darker, more dramatic turn by Academy Award nominee Laura Linney will be too enticing to avoid. This is the kind of win that people who haven’t even seen the show vote for on their ballot. 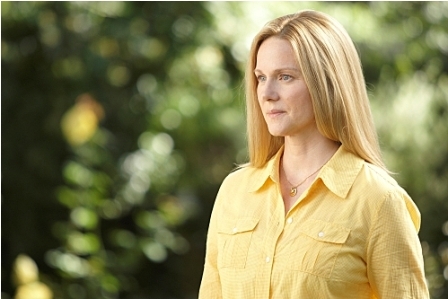 “Ooh, Laura Linney, I love her.” And I don’t mean that to suggest she doesn’t deserve it. She’s great. However, Amy Poehler and Martha Plimpton are better — and if either win, you’ll hear an audible scream of joy on the north side of Chicago. I’m sure Linney will give a great speech.